Mrs. Anju Raveendran, HOD CSE, holds ME in Computer Science and Engineering under Anna University. She has 9 years of teaching experience in this institution. She has CSI membership, in which she did many national and International publications. 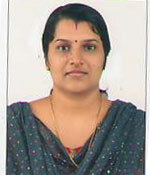 She is an executive member of Cochin Local Centre (Institution of Engineers India). She attended several National Level Seminars/Workshops/FDPs. She handles KTU coordinator ship in the institution. Mrs. Reshmi.G.Nair holds M.Tech in Computer Science and Engineering from Dr.MGR Educational and Reserach Institute ,Chennai , BE in Computer Science and Engineering from Madhurai Kamaraj University, and Pursuing Ph.D in Computer Science on “ AN OPTIMIZED ENERGY EFFICIENT SCHEME AND MOBILITY PREDICTION BASED ROUTING ASSIGNMENT FOR COGNITIVE MOBILE AD HOC NETWORKS “ from Vels University, Chennai. Worked with Invision Technologies, Trivandrum as Software Engineer for 1.5 years. 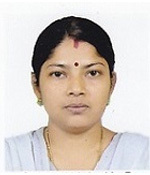 Has been working as Assistant Professor in the Department of CSE since 2012. 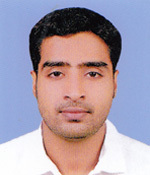 Also holds the position of Placement Cordinator of CSE Department in SNGIST. Participated and presented papers in one National Level conference and three International Conferences . Has two papers published in reputed International journals. Has organised and conducted several National Level Seminars/Workshops/FDPs. She is Life Time Member of ISTE. Area of Interest:- Wireless Networks, Soft Computing, Web Technology. 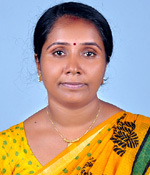 Ms. Krishna C.J. 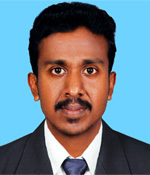 holds an M.Tech degree in Information Systems and Security from Rajagiri School of Engineering and Technology. She has more than six years of teaching experience handling various subjects like Network Security and Cryptography, Data structures and algorithms, Operating system security,Computer organisation and Architectures,Multimedia,Software engineering,object oriented Modelling and Design ,computer programming etc. She has presented papers in the International Conference on Advanced Computing and Communications,and published IEEE journals titled “Key Transfer Protocol based on secret sharing” And has also attended Conferences,National level paper presentations, Seminars and Workshops. Paper presentation on the topic Nano-wires in WISTERIA’08. 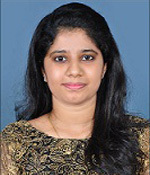 Ms. Riya Rajan holds her M.Tech from MES College of Engineering, Kuttippuram in Computer Science and Engineering and B.Tech from IES College of Engineering, Chittillappilly, in Computer Science and Engineering, under Calicut University. She has been working as Assistant Professor in the Department of Computer Science and Engineering since 2013. She has handled subjects such as Computer graphics, C programming, Principles of Database Design, Digital Electronics and Computer organization, Distributed computing and artificial intelligence. Her area of interests includes Database Designs, Natural Language Processing, and Artificial Intelligence. She has attended numerous seminars, workshops and conferences in the field of Database Designing, Python programming and Natural Language Processing. 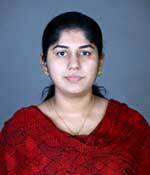 She has done a poster paper publication in an international recognized journal CENT 2012 Springer edition with title “Text to Speech Synthesis for Malayalam”. 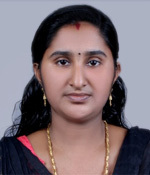 Ms. Fanny May Joseph has done her M.Tech in Computer Science and Engineering from KMEA Engineering College in 2014 and Tech in Information Technology from School of Engineering Cusat in 2012. She Worked as Guest Lecturer in Information technology Department of School of Engineering, CUSAT from August 2014 to Jan 2016. She has been working as Assistant Professor in the Department of Computer Science and Engineering since 2016. 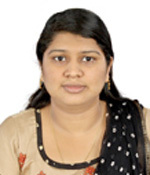 She has participated and presented papers in two National Level conference and also one paper in International Conference On “Computing Engineering and Information Technology” (ICCEIT 2014) , and has also attended Seminars and Workshops. 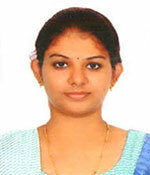 She has done Industrial training at RTTC BSNL, Trivandrum. Ms. Rema M.K holds her Master of Technology in Computer and Information Science from Govt. College of Engineering, Cherthala, Bachelor of Technology in Computer Science and Engineering from MCT. She has two years of academic experience. Her areas of interests are Computer Networks and Wireless Sensor Networks. She has also attended Seminars, International paper presentations, Conferences. 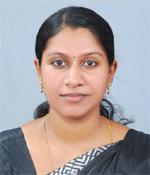 Ms. Gayathri Dili holds an M.Tech in Computer Science and Engineering from Sree Narayan Gurukulam College of Engineering and Technology, B.Tech in Computer Science and Engineering from SCMS school of engineering and Technology. She has one and half years of teaching experience handling subjects like System Software, Neural Networks, Computer Graphics, Mobile Computing, Computer Programming, Computer Programming and Computational Techniques, Python programming, Cryptography and Network security. She has published a manuscript in the area of Cloud Computing in IOSR-JCE and published a journal in IJIRCCE. She has also attended Seminars, Conferences and National and International Level Paper presentations. Mr.Siju varghese holds ME in computer science and engineering from Akshaya college of engineering and technology, coimbatore( Anna University ) and a B Tech in computer science and Engineering from SNGCE , kadayiruppu (MG University). He has attended numerous Workshops and Faculty Development programs, He is currently pursuing Research in “optical image processing” at Karpagam university, Coimbatore. He has published two papers in International journals,he has more than 3 years of teaching experience. 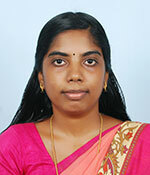 Ms.Sarika K S holds M.Tech in Computer Science and Engineering from M G University, and B Tech in Computer Science and Engineering from SNGCE, Kadayiruppu. She has attended numerous workshops and International Seminars and has published an international journal in Intrusion Detection System. She has 3 years of industrial experience. Her areas of interests are Computer Networks, Intrusion Detection Systems, Communication Systems. 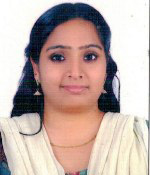 Ms. Ajina K.A holds M.Tech degree in Computer Science and Engineering from Vidya academy of Science and Technology, Kaiparambu, under KTU and B.Tech in Information Technology from KMEA Engineering College, Pookattupady, under MG University. She has 2 years of industrial experience. She has also attended Seminars, Conferences and National and International Level Paper presentations.